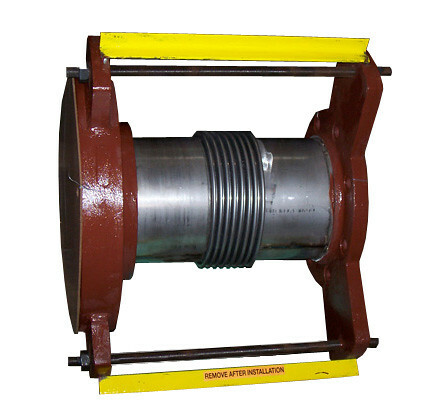 U.S. Bellows, Inc. received this single expansion joint in the morning, refurbished it by adding new bellows and limit rods, and then shipped it the very same day. 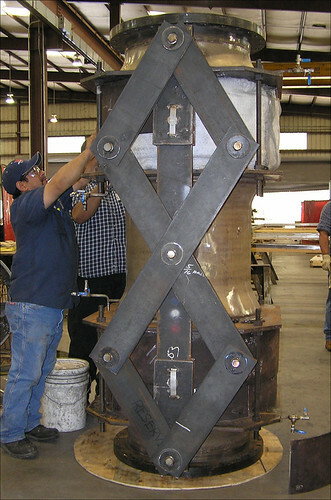 The existing expansion joint had 321 stainless steel bellows with 1,500 lb. flange on one side and 150 lb. flange on the other side. U.S. Bellows, Inc. manufactured new 321 stainless steel bellows and reused the existing flanges by sandblasting and then painting them for protection. Same day delivery enabled the customer to resume operations with minimum loss of time and production. U.S. Bellows, Inc. fabricated this 30″ spent standpipe catalyst metallic expansion joint for a refinery in Montana. The overall installed length of the expansion joint is 89″. The design pressure was 19 PSIG and the design temperature was 1050ºF. 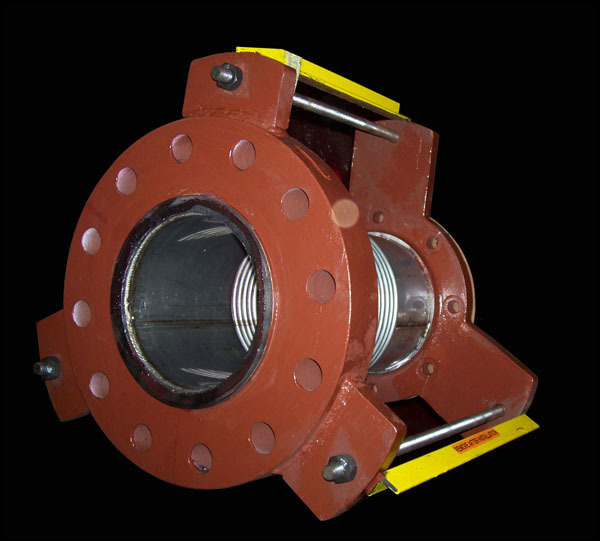 The expansion joint is fabricated entirely from 321 stainless steel, except for the carbon steel flanges to match the existing nozzle material and drilling. The assembly is lined with abrasion resistant refractory which prevents erosion of the 321 stainless steel piping. The pantographic linkage, shown in the photo, is designed to distribute the axial compression between the two bellows and support the weight of the center pipe between the bellows.